Occupying 2 units of hawker spaces, #02-79 and #02-80 and with overheads of about 7 headcounts, the stall is as busy ever. The team of 7 consists of a group of senior citizens, working studiously to keep up its queue. Every helper in the stalls are fully occupied to their entitled roles and were so well organized. The long queues over a Sunday morning has pretty well explain their popularity on a non working / office day. Yuan Chun Famous Lor Mee is arguably the best Lor Mee I had so far in Singapore to date. 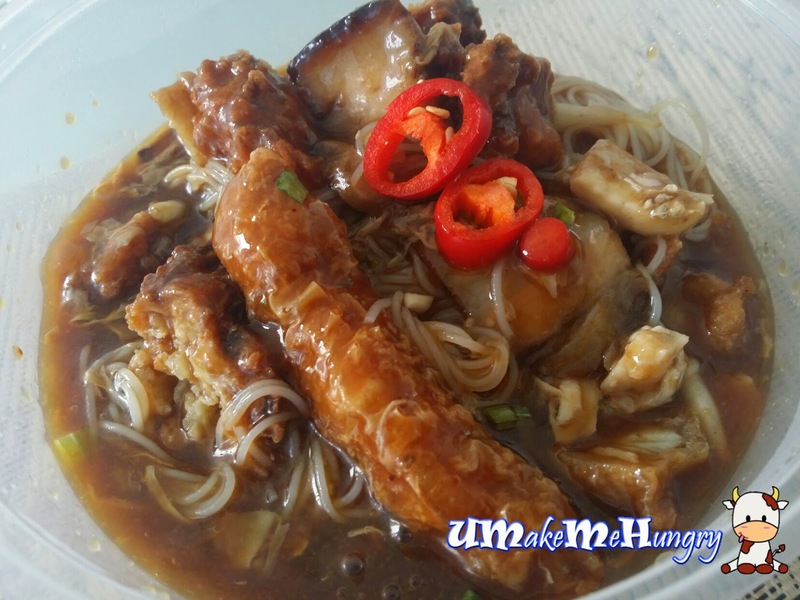 Retaining its traditional Hokkien Origins in the dish where the thick brown gravy over ladled over varied items and braised eggs, including its noodles. Quality of food is taken care of as gravy is separated from the bowl if customers are "taking away". One can change the traditional flat yellow noodle into Bee Hoon. 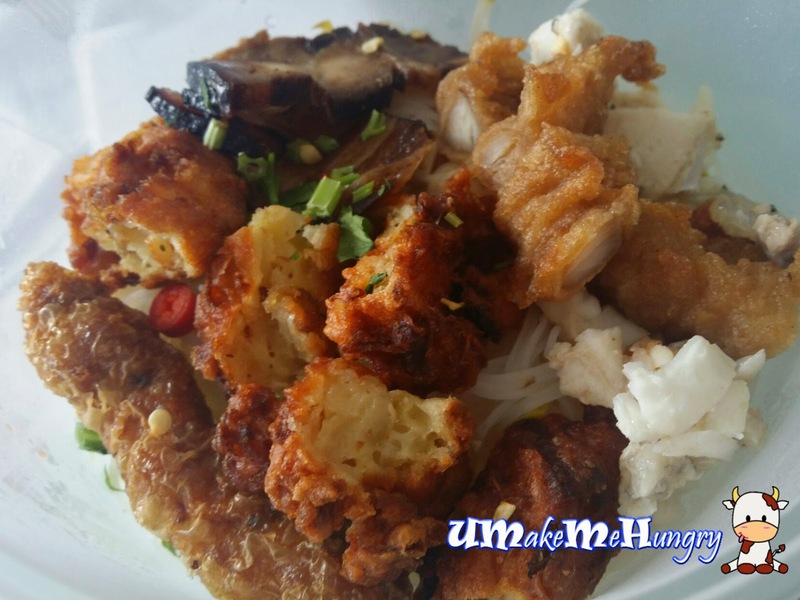 The bowl of tasty Bee Hoon is make perfect not only with the herb infused gravy but also for its Ngoh Hiong, wrapped with deep fried beancurd skin, egg, fish cakes, pork dumplings and the flavourful "Lor Bak" (Braised Belly). It goes more than perfect with a spoonful of vinegar, wakens the taste buds and appetite. Spices used were of balance and was not too overwhelming. Every mouthful was way luscious and well what's more can I say? Real scrumptious and highly recommended!